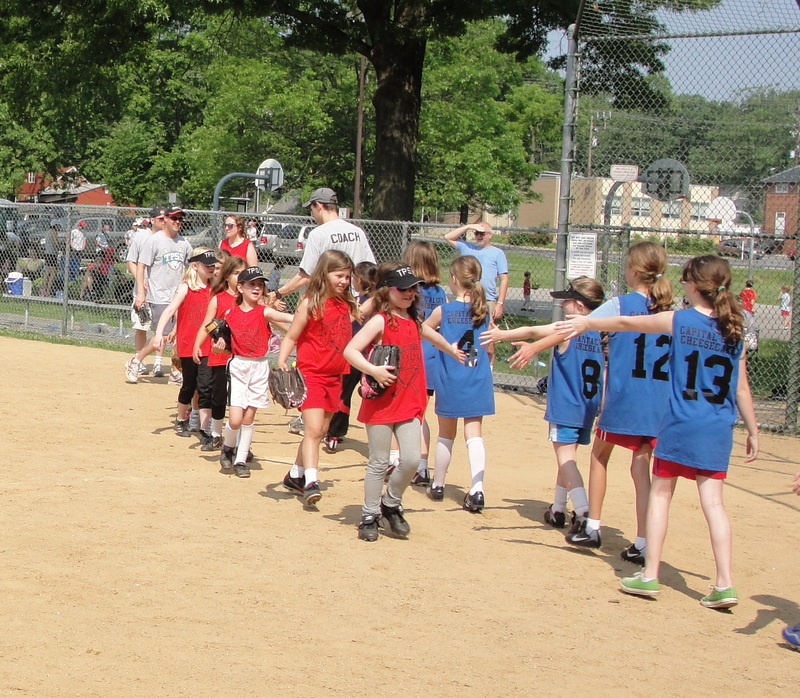 The goal of TPSS Softball is to provide an opportunity for girls ages 8-14 to play softball in a positive, fair, instructional and safety-oriented environment with emphasis on the development of qualities such as leadership, teamwork, sportsmanship, citizenship and friendship. Prior softball experience is not necessary. We play teams outside of TPSS and therefore we play by the same age requirements. Below you will find the age levels for each softball division. These minimum and maximum age ranges should help parents choose the right division for their child. They will also mean that your child was born between specific dates if they are going to play in a certain division. TPSS Softball will be flexible with our divisions. If your daughter would like to move to a different division in order to play with a slightly older/younger friend please email. Girls 12U Softball ‑ the 12U program is both instructional and competitive with an emphasis on instruction. 12U uses 12" softballs, with players pitching from regulation distance. Before the season begins, several pitching clinics are held to help players who are interested in pitching during the year. Umpires call balls and strikes and make the calls for plays in the field. Teams practice once a week and play at 12:30pm on Saturdays. Depending on the number of teams at the Senior level some teams will play a double header periodically during the year or will have a 2:15 start. We hope to see you out there. Play ball! TPSS Softball and Baseball are committed to providing quality youth sports programming to a diverse pool of young athletes. We aim to have all of our programs reflect the rich diversity that exists in the Takoma Park Silver Spring area. To aid parents who may need assistance with registration fees, TPSS Softball and Baseball has full and partial scholarships available. To apply simply send a note to Philip Olivetti at Scholarships and then when registering online at checkout, select the "pay by check."